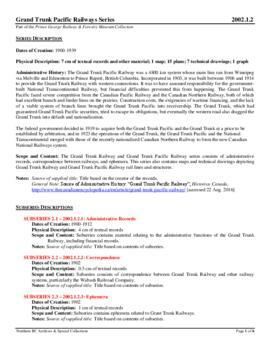 8.55 m textual records. 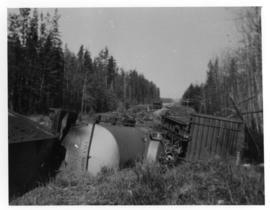 -- 32 maps. 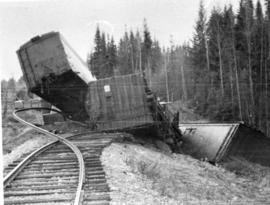 -- 94 plans. 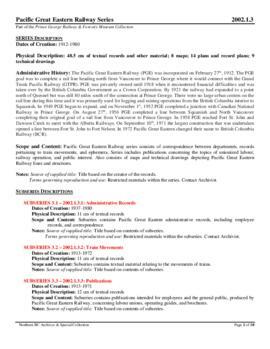 -- 229 technical drawings. 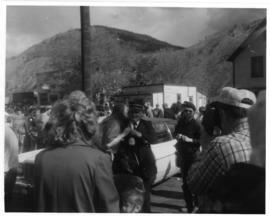 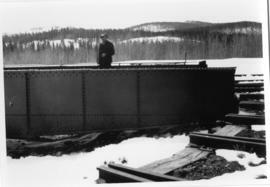 -- 282 photographs. 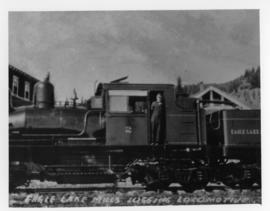 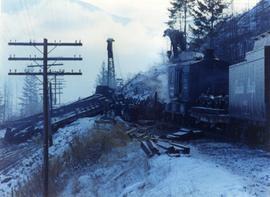 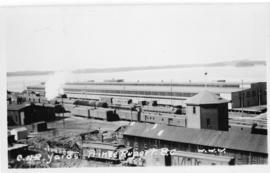 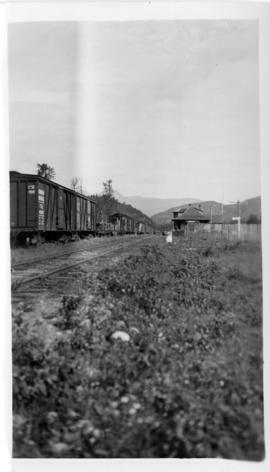 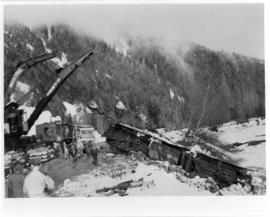 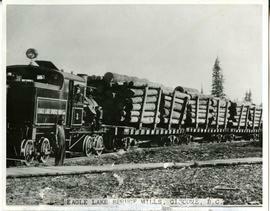 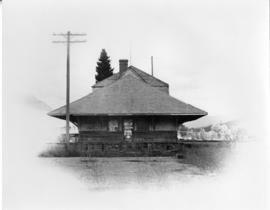 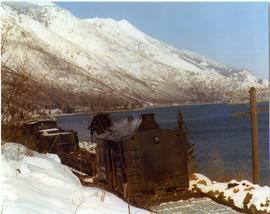 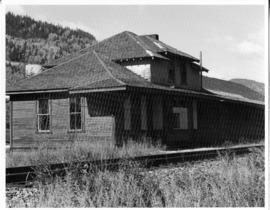 The Prince George Railway & Forestry Museum Society Collection consists primarily of textual, photographic, and cartographic records related to the regional developments of the railway industry in Northern BC. 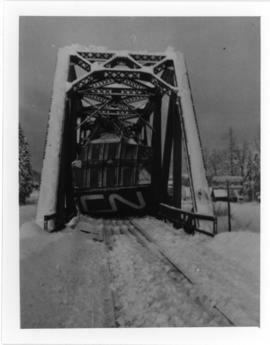 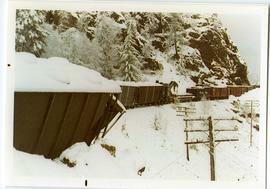 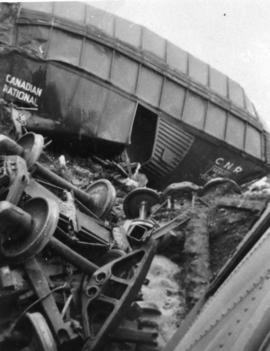 A predominant portion of the collection is made up of material from the Canadian National Railway; other railways represented include the Pacific Great Eastern Railway, the British Columbia Railway (BC Rail), the Grand Trunk Pacific Railway, the Grand Trunk Railway, the Intercolonial Railway, and the Okanagan Express. 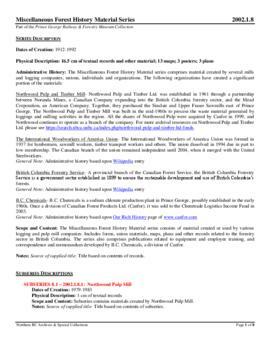 Significant geographical areas covered include Prince George, the Peace River Region, Terrace, Bulkley Valley, Hazelton and Prince Rupert. 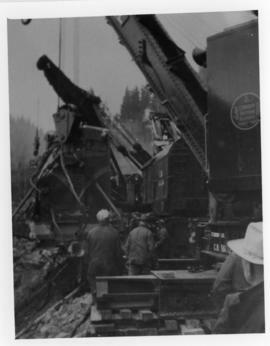 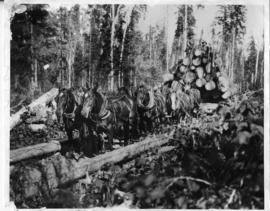 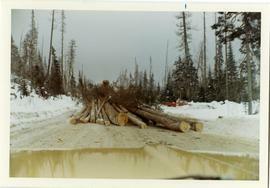 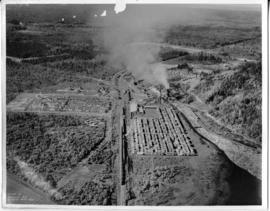 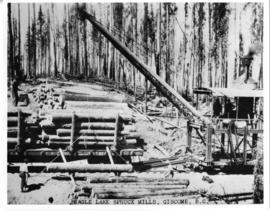 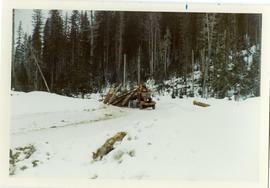 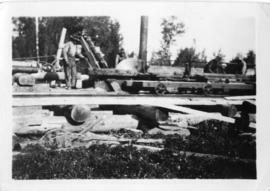 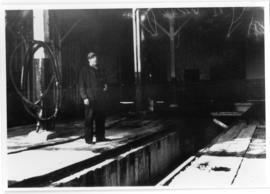 The forestry industry is represented in the collection with operational and financial records from Fyfe Lake Sawmill Ltd., which operated southwest of Prince George in the 1950s. 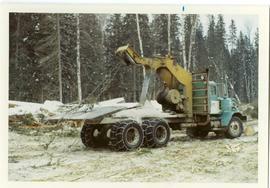 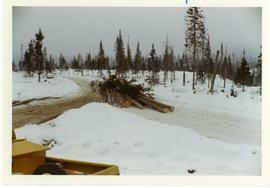 7)	Fyfe Lake Sawmill ltd. 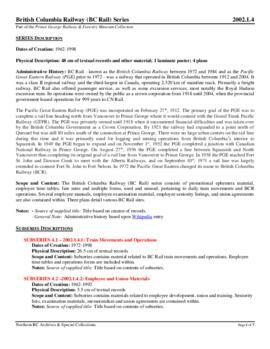 The Prince George Railway & Forestry Museum Collection has been organized into individual series according to creator, and further arranged by sub-series as applicable. 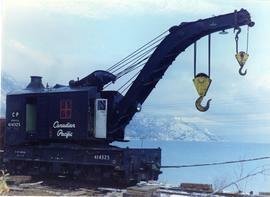 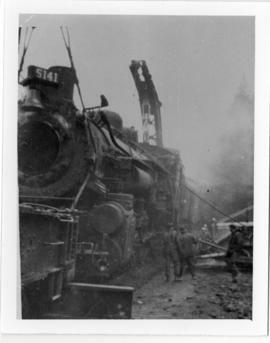 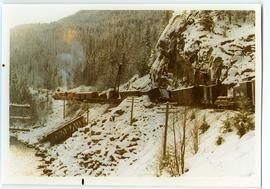 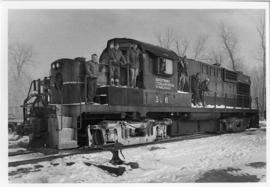 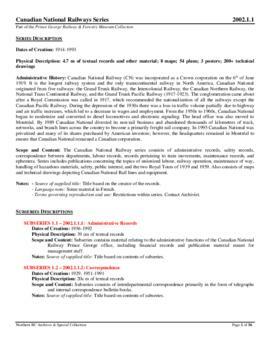 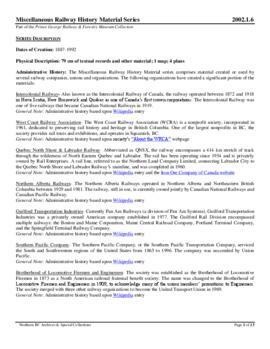 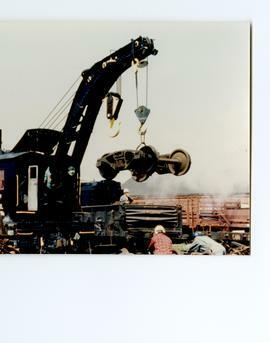 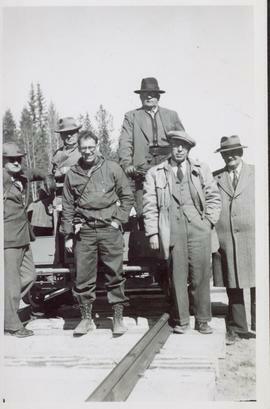 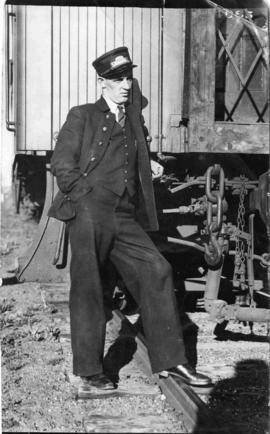 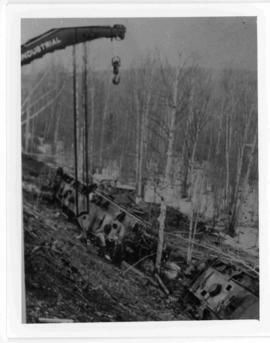 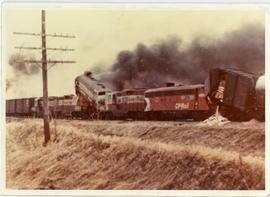 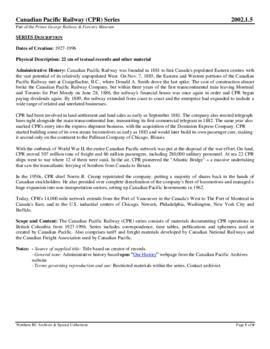 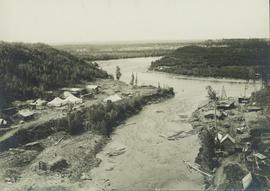 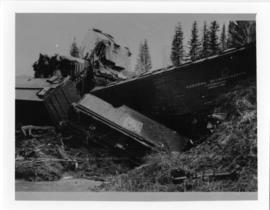 Finding aid creation was made possible with the financial contributions of Canadian National Railway and an anonymous private foundation. 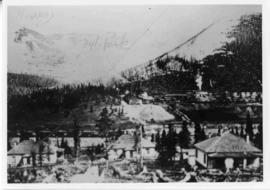 Many of the photographic materials have been digitized and are available in .jpeg and .tiff formats. 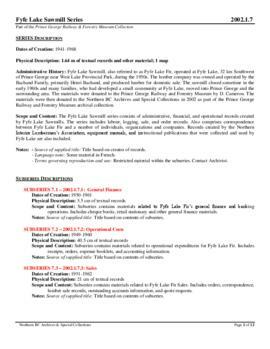 Some restrictions apply—see file and item level descriptions for applicable restrictions. 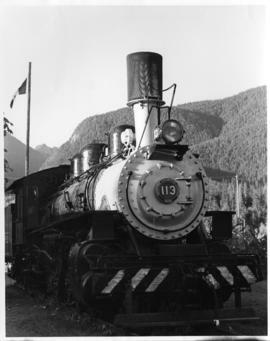 Visit the Prince George Railway & Forestry Museum [ www.pgrfm.bc.ca ] for more information on associated artifactual materials.